Ana Meihana (aka Aine Mason, Anna Mason) was, in her activist days, one of the most committed Irish republicans in the country. Part Irish, part Maori, she was a great example of the interlinking of the Irish and Maori "struggles". "find out first hand what lay behind all the news headlines concerning the Troubles". I quote extensively from her story which was printed in the Sinn Fein newspaper An Phoblacht, of 4th September 1997. While I was sympathetic with the republican people's struggle for self-determination, I was nevertheless a very naive product of `middle' New Zealand. I was a young girl, barely out of my teens. What I saw and experienced in Belfast in 1977 and 1978 was to change my life totally. I stayed first with a nationalist family in Ballymurphy. This family welcomed me in warmly and willingly shared what little they had. The family I was with were being held at gunpoint in their lounge. I joined them as soldiers ransacked their home. The soldiers bullied, abuse and threatened us. On finding a Relatives Action Committee (a prisoners' support group) pamphlet in the house, the soldiers lifted the eldest son. I will never forget the sight of his mother afterwards, weeping with worry and anger. Having to pass British patrols on a daily basis was nerve-wracking. I felt as if I'd gone back in time to Nazi-occupied Europe, seeing tanks on the streets, having to dodge gunfire and witnessing the harassment of ordinary people going about their lives. I was stopped in the streets frequently. Every time the soldiers abused me, threatened me and assaulted me. Once I was shoved up against a wall and a rifle with the safety catch off was waved in my face. I was also lifted on several occasions. During these, I was interrogated, sworn at, threatened, subjected to sexual innuendo and, on one occasion, shown graphic photographs of bomb victims. Threats were also made against the family I was staying with, in particular their adolescent daughter. I moved on, I stayed with a young mother and her chid in Andersonstown. Her husband was a POW in Long Kesh and she, too, had very little. I accompanied the families on marches in support of the POWs and was amazed at the strong sense of community I witnessed. People turned out on the streets in their thousands and, day to day, helped each other in every way. I then found a job with a Protestant family on the Malone Road. I was to be their nanny. Living standards there were in sharp contrast to the deprivations of West Belfast. During my time working on the Malone Road I visited West Belfast on a regular basis, attended marches and rallies and called into the Sinn Féin rooms on the Falls Road as much as possible. On one of these visits I briefly encountered Gerry Adams, whom I'd previously been introduced to. I remembered the day - I was roughed up by passing soldiers as I came out of the building. I had a camera and decided to start using it. I took snaps of police and army brutality at a rally in the city. I intended sending them back to New Zealand for processing, and from there to the news media. I went out to post my film. I turned into the Grosvenor Road and was watching soldiers taking tea and chatting to housewives on the pavement. I couldn't believe how polite they were after what I had witnessed in nationalist West Belfast. There was a heavy army presence. Suddenly a Saracen armoured personnel carrier swung to a stop in front of me. At the same time I heard running footsteps. A hand came down on my shoulder. I turned to find a rifle being waved in my face by the police. I was hustled into a Saracen and driven to Castlereagh interrogation centre. I was terrified. I'd read accounts of the torture at the centre. I was put into a white-walled room with a light that never turned off, day or night. A low humming noise came from somewhere. It never stopped. In the distance I could hear shouting, screaming. By the time I was taken for interrogation, I was completely disoriented. I hadn't eaten, slept or been allowed to wash for three days. I was told that my mother in Auckland had been told of my arrest and, as a result, was now in Intensive Care in Auckland Hospital. I was told - with relish - that my troubled teenager sister would end up `getting the broom' in a girls' home. I fainted. 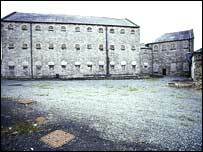 By the time I was transferred to Armagh Women's Prison I was a wreck. No one had done anything to find out how my mum was. I was conscious of my dishevelled appearance and the fact that I smelt. I was so relieved when a young woman named Mary Doyle came into my cell and asked what I'd been charged with. I told her I'd been charged with communicating information to terrorists and nearly cried with relief with she said, ``You're one of us''. She took me to meet Maureen McCullen, with whom I was to share a cell. After that, a group of us gathered in the cell of another POW, Clare Delaney, for a cuppa. Everyone was so pleasant and friendly, listening with interest to my story and sharing what they'd been through in Castlereagh. I heard horrifying stories of sexual abuse. Throughout my six months in Armagh, these women POWs maintained the same high standards of discipline, morale and community spirit I'd witnessed in the nationalist community outside. In mid-1978 things deteriorated. We had staged a protest over the shockingly bad quality of prison food. Armed male warders in full riot gear stormed A Wing, batoning us down, brutally throwing one of us down a full flight of stairs. I was introduced to IRA Volunteer Dolores Price and other sentenced POWs. I also met the late Volunteer Mairead Farrell (shot by the SAS at Gibraltar). In a singular, five minute encounter she made a deep and lasting impression upon me. After her murder ten years later, my estimations of her were confirmed in full by the moving testimonies of family, friends and fellow ex-prisoners. My eldest daughter, now aged six, is named in her honour. Eventually international pressure and high profile media attention back in New Zealand saw me released, by way of a deportation order issued in late 1978. I found that among the telegrams that had been sent to me was one from Nga Tamatoa. It never reached me - a deliberate ploy, I believe, to make me feel that the Maori community had totally ignored my plight. Back home, family and friends were willing to listen to my account of life in the Six Counties, but the general public were not. Nobody would employ me. Mainstream society treated me like some sort of traitor. When I registered for work at the Labour Department, I was subjected to a severe political interrogation. Thanks to Jimmy O'Dea, his son Pat and some other new friends, this Labour Department interrogator was reprimanded. Jimmy O'Dea was at the time, a member of the Communist Party and an Irish republican activist. Being so well known made me lose confidence in enrolling at university to study law. I tried hard to keep in touch with my friends in Ireland, but every letter came back covered with SIS and Special Branch stamps. Mum's phone was tapped and my movements monitored for a long time afterwards. While in Armagh prison, not just Nga Tamatoa, but much of the NZ left kept a close eye on Ana Meihana. The SUP's Tribune of May 8th 1978 reported that Anna Mason was arrested in Belfast for taking photos of the Royal Ulster Constabulary. The Socialist Action League's newspaper of June 30th published Mason's letter from Armagh prison thanking the SAL for their support. Almost immediately after arriving in NZ in September 1978, Meihana joined the radical Maori group, Waitangi Action Committee. She was then arrested at the Bastion Point occupation, spending 5 days in jail. In 1981 Meihana participated in anti-Springbok tour protests. Soon after, she joined the Maoists of the Workers Communist League at Sue Bradford's Auckland Unemployed Rights Centre. 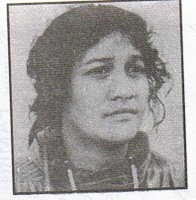 By the mid '80s, Meihana was the Auckland based Maori co-ordinator for Te Roopu Rawakore-the nationwide federation of unemployed workers unions. Though Te Roopu Rawakore was dominated by the Workers Communist League, some constituent unions were influenced or controlled by the pro-Soviet, Socialist Unity Party. 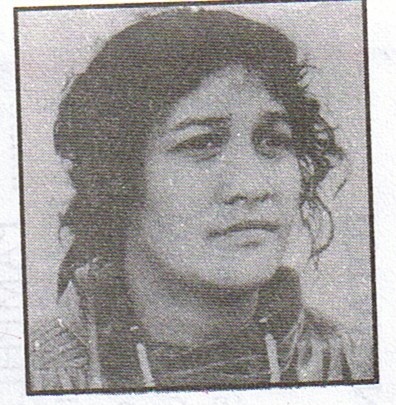 By 1988, Meihana was a member of the Wellington branch of the SUP. She was no ordinary rank and filer. She was on the SUP's "Unemployment Commission", the Party body charged with running the unemployed workers movement. At the time, Meihana was a volunteer with the SUP/WCL run Wellington Unemployed Workers Union. She also played a major role in organising the nationwide "March Against Unemployment" in October that year. Meihana also served that year on the SUP's Commission for the "National Question", with Joe TePania, Jackson Smith and Brendan Tuohy. This body was charged with co-ordinating the SUP's Maori activism and worked with many of NZ's Maori radical community. Not content with that, Meihana was also active in the Wellington branch of Information on Ireland, NZ's leading Irish republican support group. "The Irish cause is the Maori cause. The Maori fight in New Zealand is basically the same, only it is yet to reach a military stage like Ireland." Ana Meihana left the SUP around 1990 and is no longer visible in the activist scene.